Pleased to see us at Alimentaria 2016! Our range of Premium Hamburgers hits another high note at a food meeting. 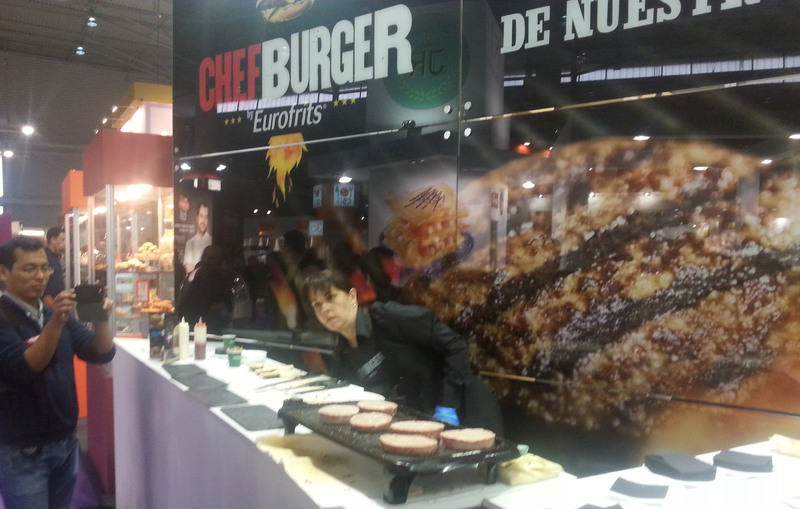 This time, Eurofrits presented ChefBurger at Alimentaria 2016, one of the largest fairs in this sector, aided by LADUC, (Les Amics du Cuisinier – Alvilardan, S.L.). 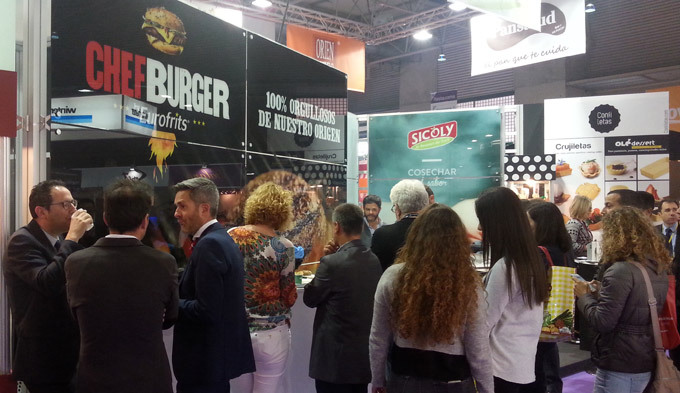 The exhibit, which took place in Barcelona last week and lasted for four days, gave everyone the opportunity to try and discover the different varieties of the ChefBurger range at the LADUC stand. Our corner stayed busy throughout the event, showcasing for all kinds of public, restaurateurs and distributors alike. Many visitors were interested in acquainting our hamburger range ChefBurger, made exclusively with 100% guaranteed beef of national origin. All the range references had a warm welcome, although it should be noted that the 4 cheeses did stand out because of its originality and personality. What visitors found most surprising is that our hamburgers need not be defrosted prior to cooking, neither they require oil for frying or leak out water in the process. LADUC, Les Amics du Cuisinier, is a firm specialized in the distribution of ready-to-go last generation food. 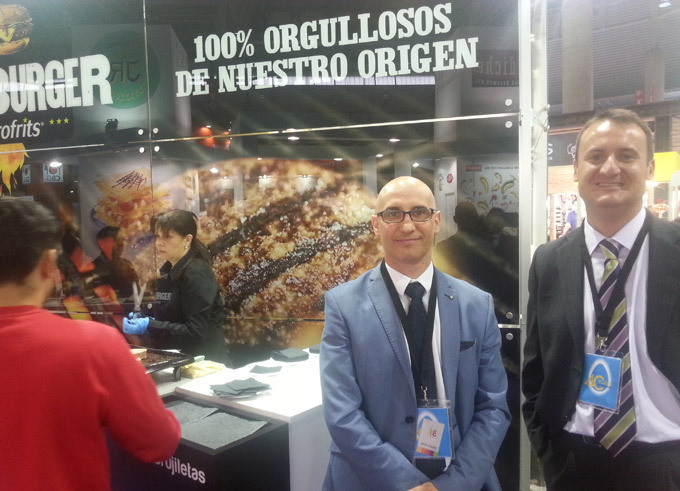 At Alimentaria, besides our range ChefBurger, they presented their new references: gluten-free products, mini-snacks, fruits, oriental products or innovative breads, among others.